Pilanesberg National Park, or Pilanesberg Game Reserve as it is often called, is located in the Bojanala Region, within the North West Province and relatively near Johannesburg. With an area of 550km², it is the fourth largest park in South Africa, home to the Big 5, along with an abundance of flora and fauna. 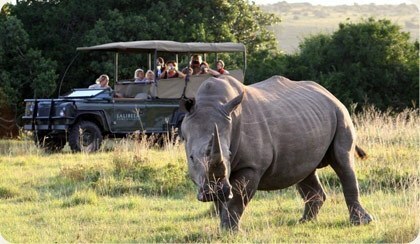 This Game Reserve is every wildlife enthusiasts dream. 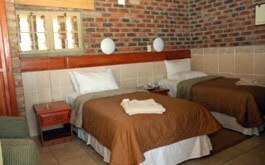 Pilanesberg offers a variety of affordable accommodation, like the self-catering Manyane, Bakgatla Resorts. At the foot of the Garamoga Hills lies the Bakgatla Resort, which consists of unique Colonial Style Chalets. Each Chalet consists of a lounge, kitchen, bedroom, bathroom and an ever-popular up-stairs loft bedroom. Bakgatla offers relaxation and much more for the outdoor enthusiast. 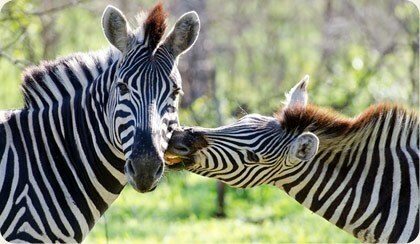 Manyane Resort is nestled at the gateway to the Pilanesberg National Park, set in unspoilt natural surroundings. The thatched African styled chalets are luxurious, with one or two bedrooms including a lounge, and in certain Chalets an upstairs loft bedroom. Superb conference facilities with personal service and attention to detail.